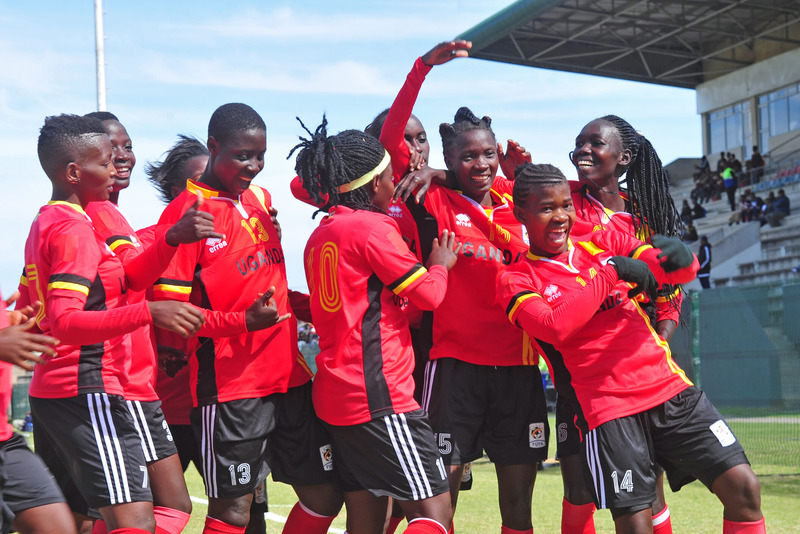 The Uganda Crested Cranes got off to a winning start at the ongoing COSAFA Women’s Championships in South Africa. Faridah Bulega’s charges defeated Swaziland 3-4 in a game that had little to write home about in terms of defending. Hasifa Nassuuna struck a brace while Norah Alupo and Resty Nanziri scored a goal each to guide Uganda past Swaziland in the game played at the Isaac Wolfson Stadium in Port Elizabeth. Swaziland got all their goals in the second half, struck through Celiwe Thandazile Nkambule, Tenanile Sandiswa Mgcamphalala and Cebile Shongwe. Nassuuna who had fitness issues going into the game, opened the scoring after just two minutes, capitalizing on a mistake by Swaziland defender, Mwazi Dube to slot home and give Uganda a dream start. Uganda kept surging forward and on the half hour mark, Alupo doubled the guest’s lead tapping home from close range a Zainah Namuleme cut-back. With the game destined for the mandatory halftime break, Nanziri who had hit the woodwork earlier stretched Uganda’s lead scoring the third. It was her first goal in national team colors coming on her debut. In the second half, Swaziland scored two quick goals through Tenanile Ngcamphalala and Celiwe Nkambule to come within a goal of leveling matters. However with 10 minutes to play, 2016 Woman Elite league MVP-Nassuna had other ideas, slotting home her second of the day and Cranes fourth via a penalty kick after Tracy Jones Akiror was brought down in the area by Mwazi. Despite the two goal deficit, Swaziland never lost hope and found their third in the 89th minute with Cebile Shongwe easily finishing past Ruth Aturo off a counter attack to create a tense finish to the game. Bulega’s side manage to hold onto a famous victory that sees them go top of group C after one game. The other group C game will see Namibia and Zimbabwe square off on Thursday. The Crested Cranes next game will be against Namibia on Saturday afternoon.